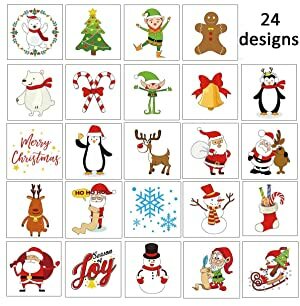 Package of 144 Christmas Temporary Tattoos with 24 designs. 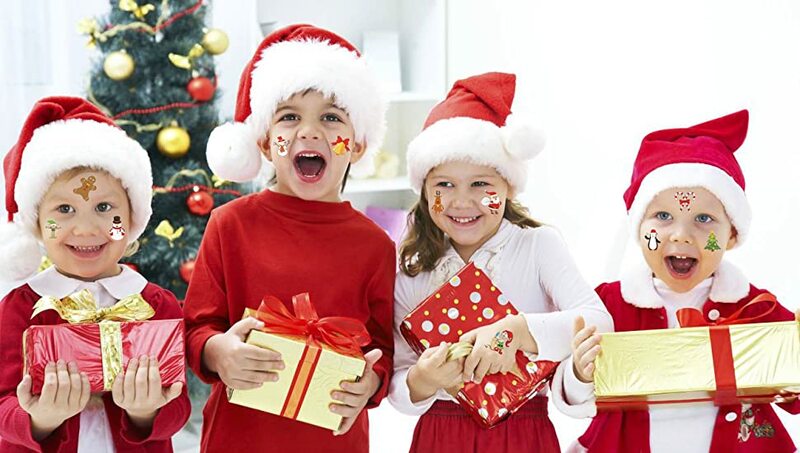 Features an assortment of Christmas themed characters, items and creatures.Such as Santa,Elf,Snowman,and Joy,etc. Easy to apply and remove.Tattoos will last for two days up to a week. Perfect for face,cheek,arm, hand ,ankle or anywhere of your body. 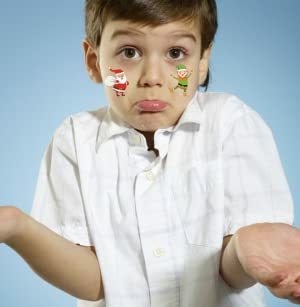 Cute and appropriate for handing out at school and sending along with Christmas cards.A great little stocking stuffers for your kids. 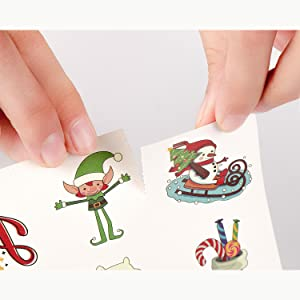 You will get 144pcs christmas tattoos with 24 designs.Features an assortment of Christmas themed characters, items and creatures.Such as Santa,Elf,Snowman,and Joy,etc. You need to tear them apart into an individual square. They are perfect for face,cheek,arm, hand ,ankle or anywhere of your body. Easy to apply and remove!! !